VR Visage, based in Denver, Colorado, is a virtual reality company specializing in virtual reality applications and bringing virtual reality technology to businesses in order to help grow their bottom line. 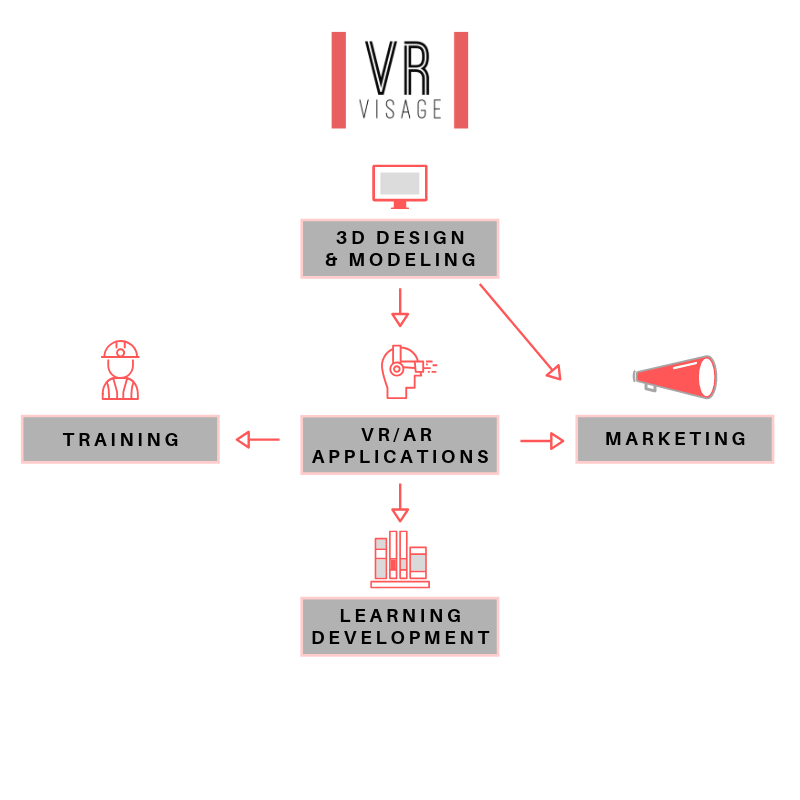 Along with virtual reality applications, VR Visage specializes in events that will bring virtual reality technology and custom application development to conferences, trade shows, parties, events, and much more. VR Visage works with may industry partners across many sectors. Our products have been used in Education, Automotive, Real Estate, Travel, Retail, Marketing, Homegoods, and Events applications for numerous clients. We continue to deliver quality virtual reality content with a focus on driving sales, imprinting memories, and increasing education and awareness. VR Visage has set itself apart from the competition. Our team is made up of professional app designers and virtual reality experts, a very unique make-up in what is such a new technology. On top of that, we are professional digital media experts, with experience as a full production studio, capable of delivering digital on every platform.